You waited long enough, and it's finally here. The new Discounts Manager makes it easier than ever to create and manage all system discounts. Along with a one-stop-shop to manage all discounts, you can now create discounts as a percentage! An often requested feature from many of you was the ability to associate permissions to discounts, so we also included the Discount Permissions tab. Need only admins to manage employee discounts? 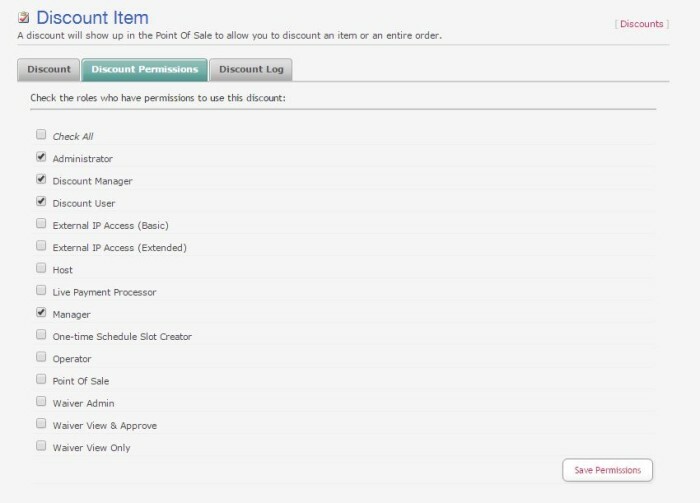 You can do that now with Discount Permissions by simply associating the 'Employee Discount' to the administrator group. So, go give it a try now. Create some new discounts, or transfer your existing discounts in the Manage Discounts section - in the Other section on the Admin screen. We appreciate your valued feedback and patience while we fine tuned this feature. Please contact us with any questions or guidance needed with the new Discounts Manager.